Samsung has just officially announced on this quiet Thanksgiving Monday, that its global retail partners need to halt Galaxy Note 7 sales and exchanges, while customers need to “power down” their units and stop using them. 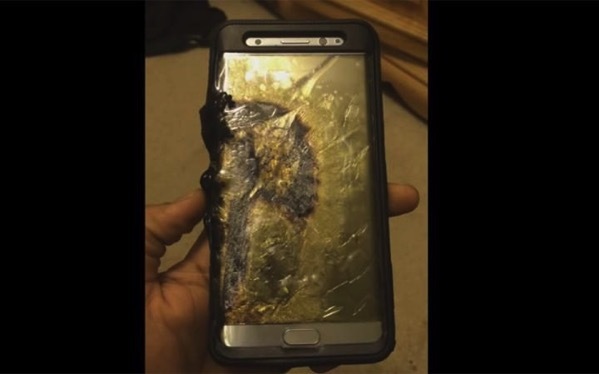 Some Galaxy Note 7 batteries were said to have exploded and caught fire, dating back to late August. Since then, an official recall finally took place in mid-September, but when a replacement phone caught fire and forced the evacuation of a Southwest Airlines flight in the U.S., things got serious. Some U.S. carriers started offering second replacements last week, but soon AT&T, T-Mobile, Sprint and Verizon all halted sales, as reports of newer replacements catching fire. Finally today, Samsung has decided to halt sales and exchanges of the device, while pleading with customers to power down existing units. This is something they should have done long ago some would argue, instead of putting lives at risk for so long. Earlier this morning, it was reported Samsung has already temporarily suspended production of its Note 7 line up, according to an unnamed supplier from their supply chain, hinting a bigger announcement was forthcoming. It’s now here. As far as we know it, the Galaxy Note 7 is good as dead. Samsung just needs to give up on the device and move on, to try and rebuild its tarnished reputation.